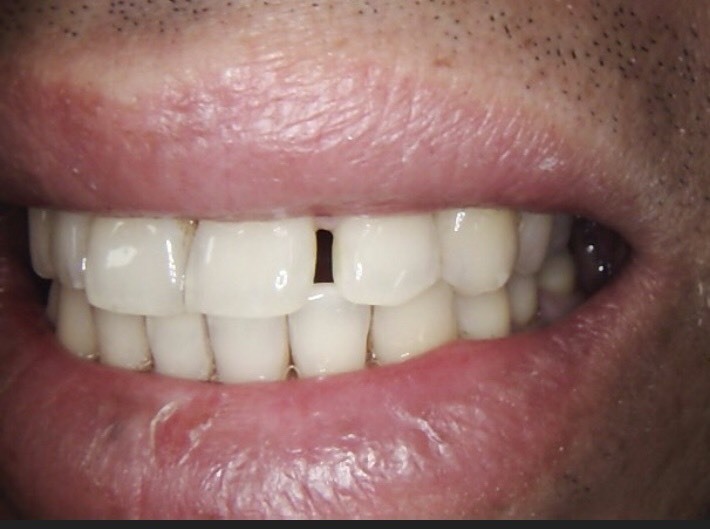 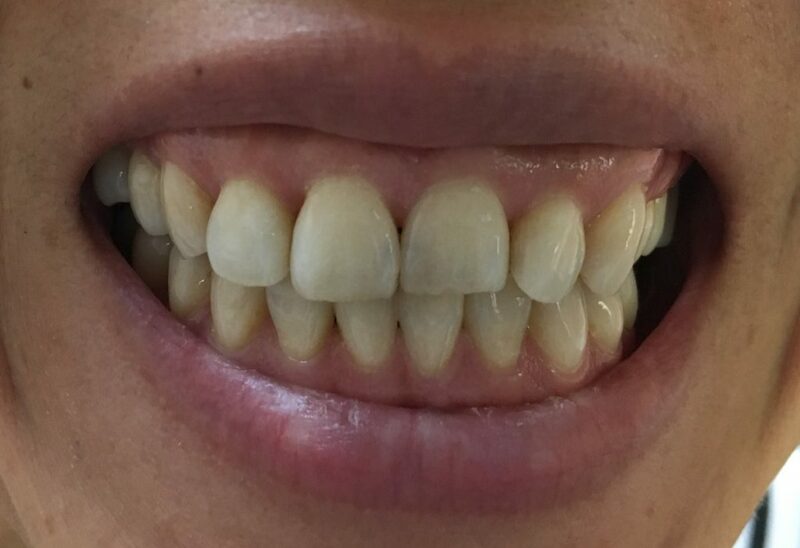 After 2 hours in One Visit on same day with 2 composite veneers. 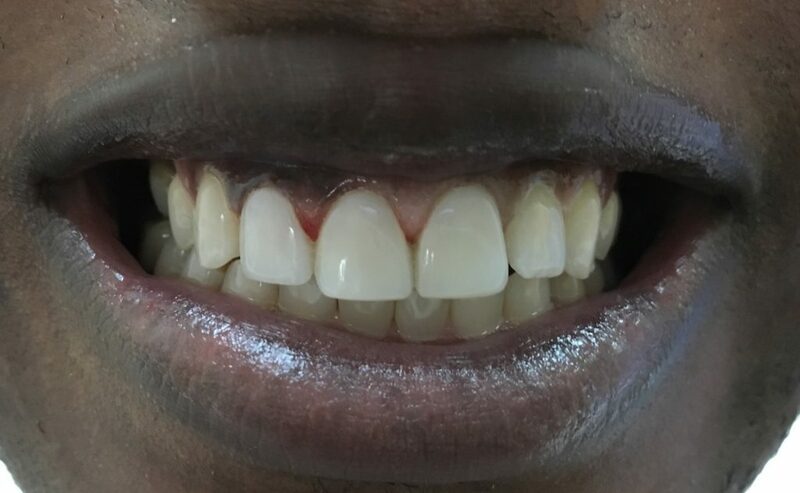 No tooth enamel removed. 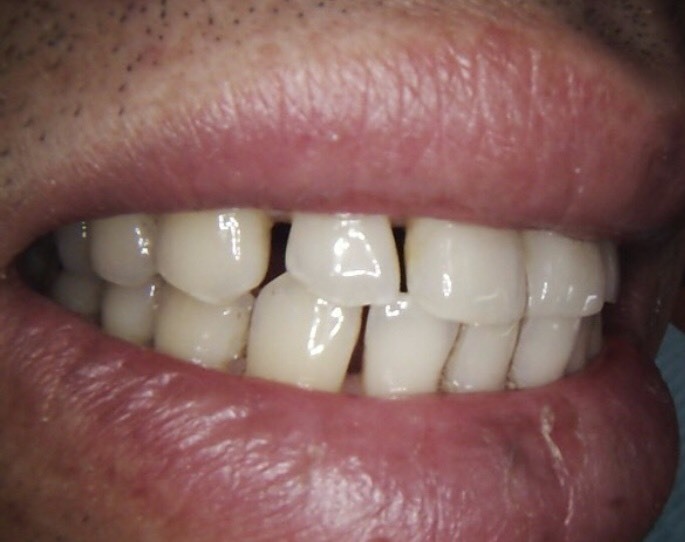 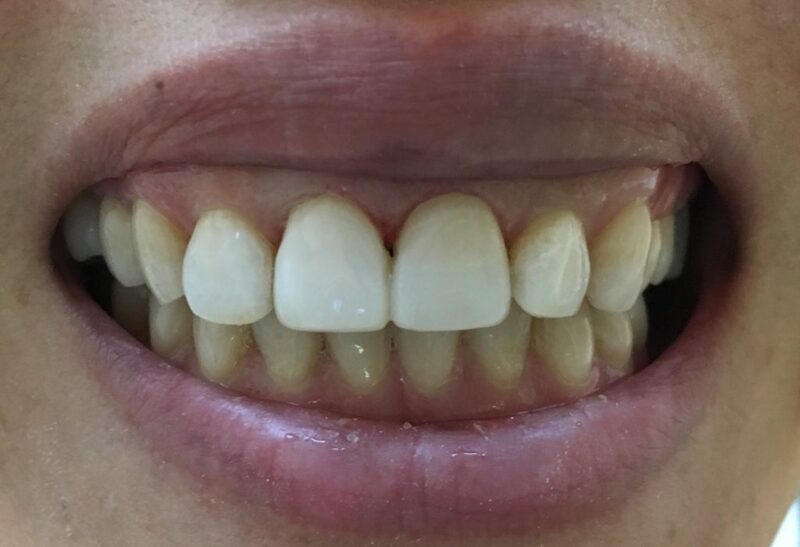 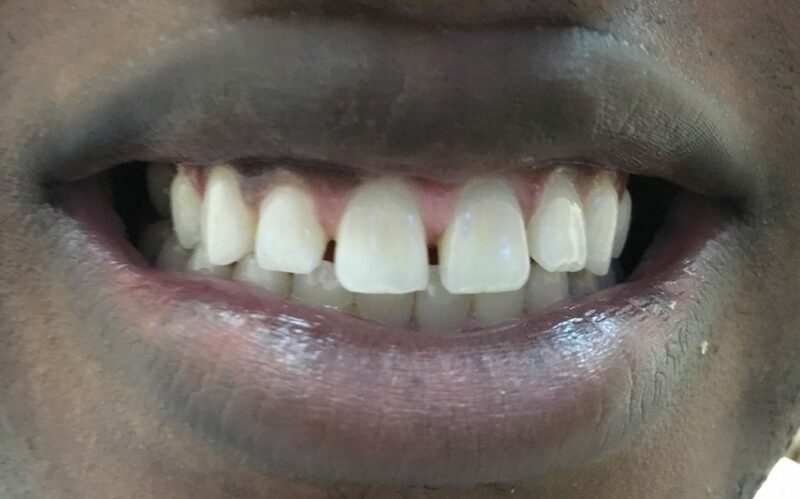 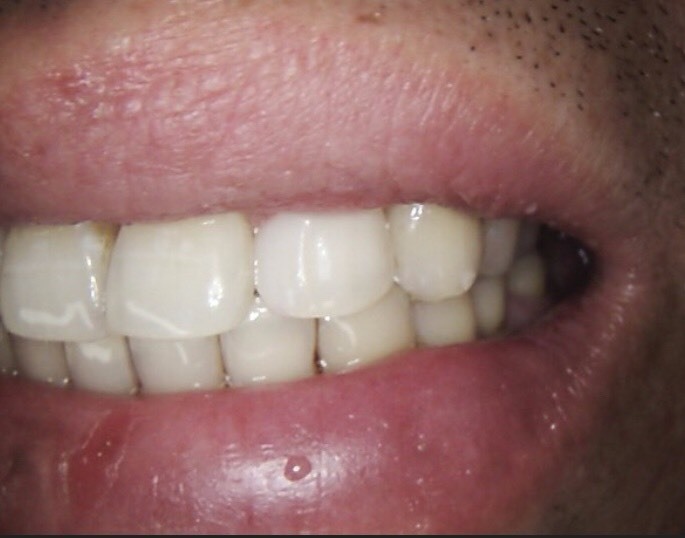 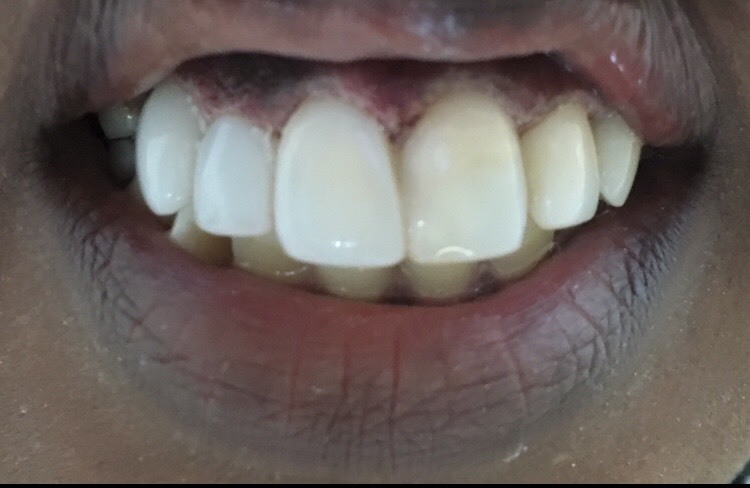 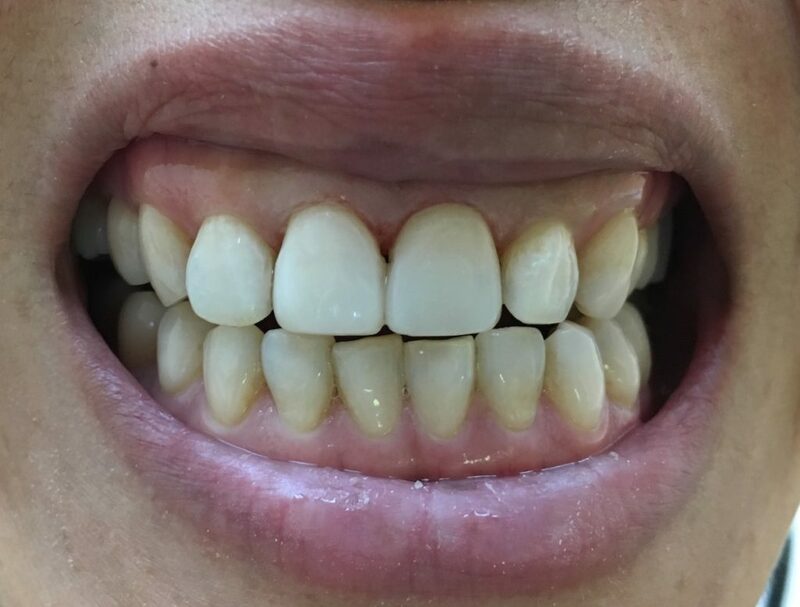 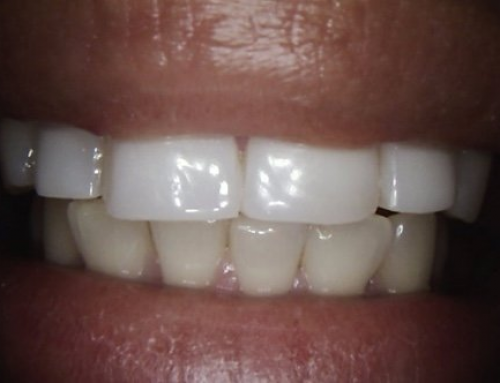 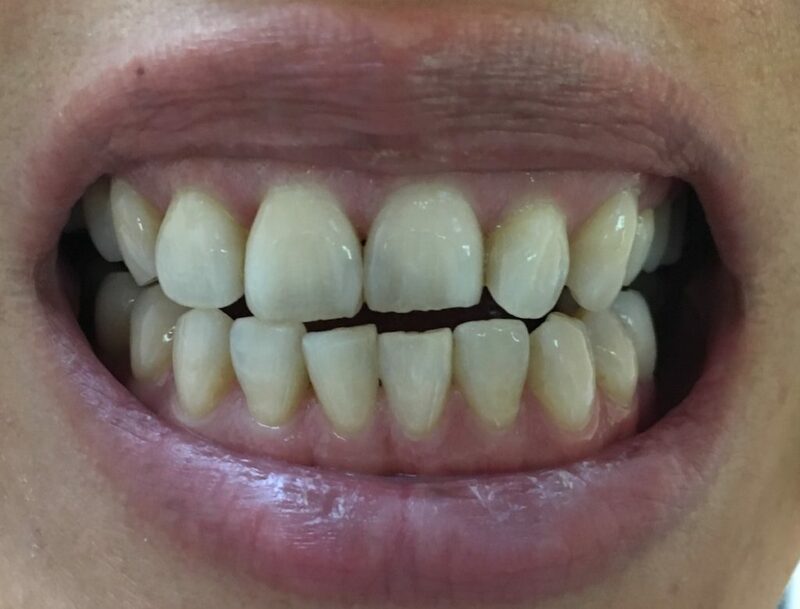 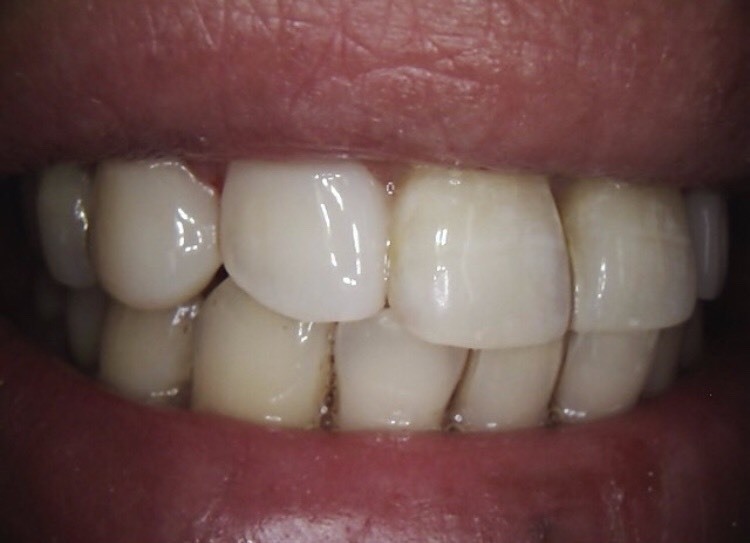 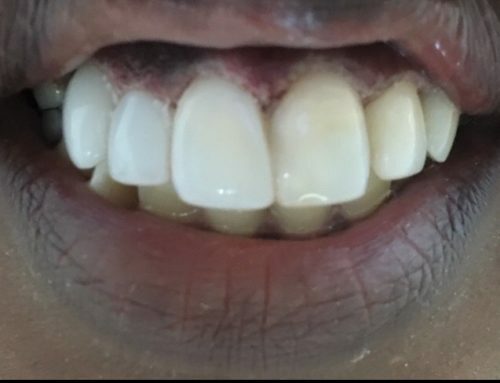 After 3 hours in One Visit on same day with 3 composite veneers. 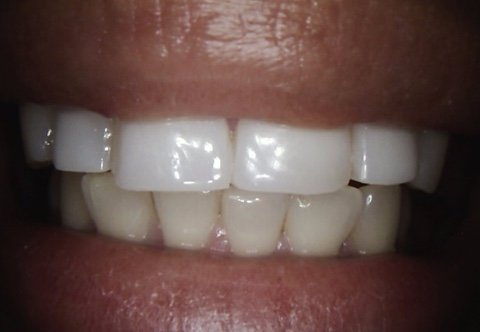 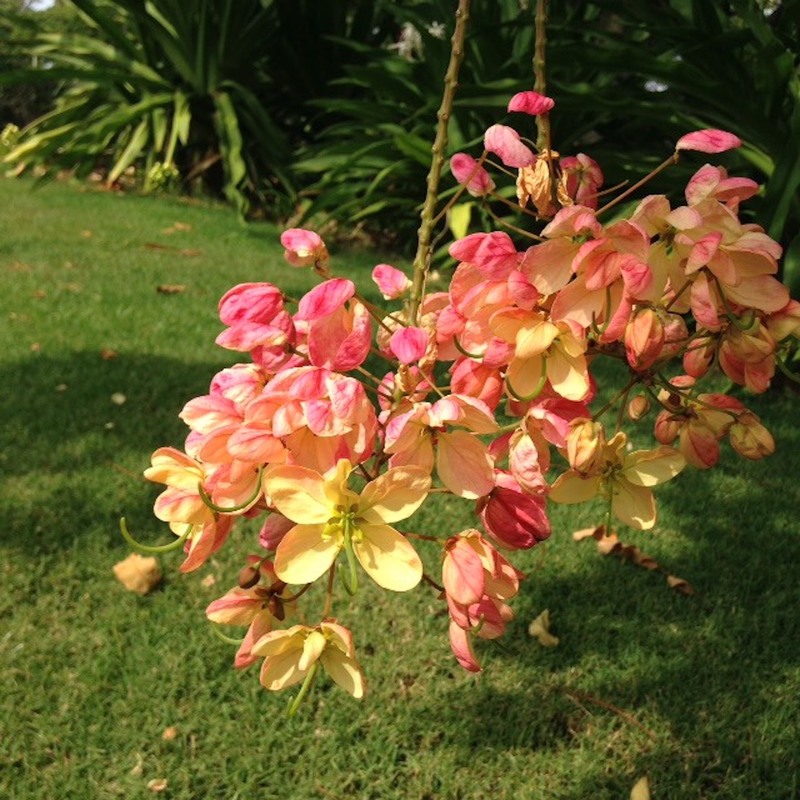 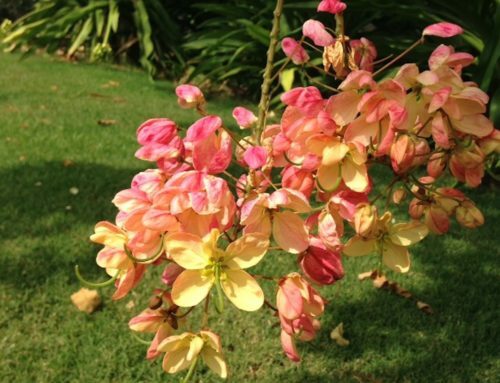 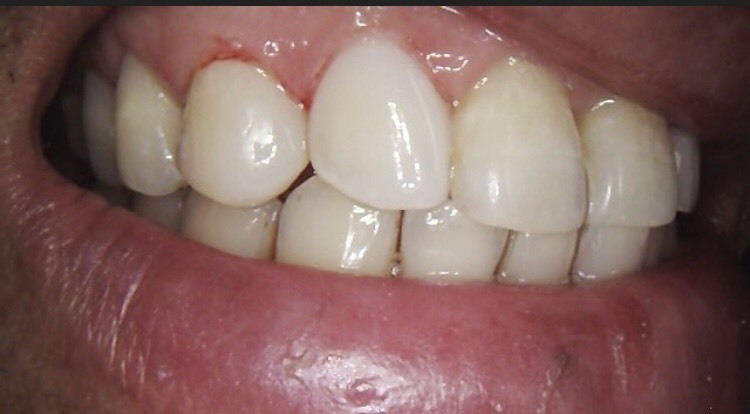 No enamel removed or trimmed.